In the U.S Miso soup comes with spoon. 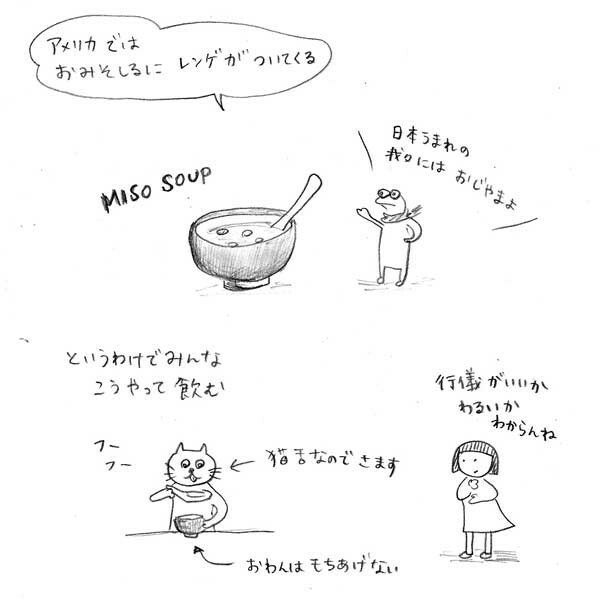 Everybody eat miso soup with spoon, which looks kinda good manners, but still it looks strange for me. Usually Japanese people don't use spoon for miso soup, they(we) just bring the bowl to our mouth. Interesting.